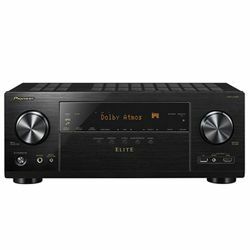 These receivers support the 9.2 channel setup. 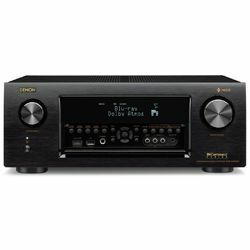 Both models work with Sonos, but TX-RZ730 is THX certified. VSX-LX303 features various audio enhancement technologies like synchronized sound with phase control, reflex optimizer, etc. Both models support 4K with 60 Hz, HDR10 and HLG. 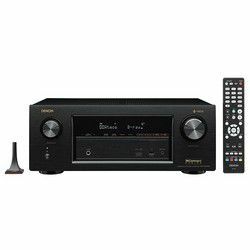 Comparing Pioneer VSX-LX303 vs Onkyo TX-RZ730 in terms of the total power output, we get 980 W Onkyo versus 900 W Pioneer. Both models have wireless modules that allow playing content from various online services. These receivers support the Chromecast technology and the Google Assistant. Both receivers support powered zone 2 and 3. The content played in those zones can be controlled via an application or using a remote controller. These models have 7 in and 2 out HDMI ports. Customers claim that ports are reliable. Onkyo uses the AccuEQ technology to calibrate speakers, while Pioneer uses the MCACC technology. If you are not satisfied with the result, then you can fine-tune speakers using an application. Both manufacturers provide you with the required microphone. 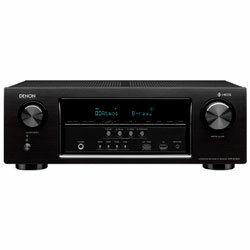 Onkyo TX-RZ730 has three knobs, a power on/off button. An LCD display shows the most important information only. It also has a row of buttons. The front panel also features additional ports. Pioneer VSX-LX303 has two large knobs on both sides of the front panel, a power on/off button. An LCD display provides you with some basic info. A row of narrow buttons is located under the LCD display. There are some small round-shaped buttons. The front panel also features some additional ports. The remote controller is quite ergonomic with buttons labeled properly. Overall, both devices are easy to control. The buttons are ergonomic. The dimensions are 15x17.2x7 in for TX-RZ730 and 14.6x17.3x6.9 in for VSX-LX303. The weight is 23.8 and 24 pounds respectively. It is quite powerful and it delivers clear and deep sound. The AccuEQ is precise and it also enhances the output sound. It has pre-amp outputs for all channels. The front panel does not have a USB port. Some customers find the application (the Android version) difficult to use. The application has many functions. It also allows you tune speakers after the initial calibration. Many sound profiles to suit your needs. The auto-calibration is precise and fast. USB ports do not work with MAC-formatted devices and video files are not supported. You cannot set different subwoofer frequencies.